A former Tesla employee who calls himself a whistleblower has filed a formal tip with the Securities and Exchange Commission that alleges Elon Musk's electric car start-up misled investors and put its customers at risk. Martin Tripp — who has been sued by Tesla (TSLA) and accused by Musk of attempting to sabotage the company — claims Tesla installed faulty batteries into some vehicles and placed battery cells dangerously close together. Tripp also alleges Tesla has drastically overstated to investors how many Model 3 vehicles the company produces. 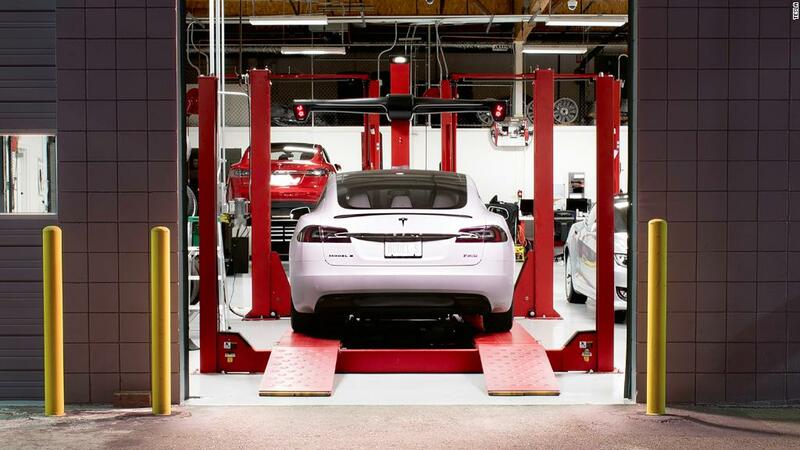 Tesla allegedly inflated its statistics by as much as 44%. The tip was filed with the SEC on July 6, and a press release about its contents was made public by Tripp's attorney, Stuart Meissner, on Wednesday. The SEC declined to comment on the matter. Tesla did not respond to multiple requests for comment. Tripp, who worked as a process engineering technician for Tesla was sued by the company last month for allegedly hacking its manufacturing operating system and stealing internal data. Tripp said he was fired in June. Tripp denied the allegations, called himself a whistleblower, and said he collected information at Tesla that "was so severe, I had to go to the media." Tripp's attorney said Wednesday that the lawsuit amounted to a "calculated effort to ruin his reputation and silence him and other potential Tesla [whistleblowers] from coming forward." Tripp said in a statement that he's received "a ton of support" since he first came forward with allegations against Tesla last month — but he's also been the target of threats and harassment. He said he and his family has been forced to relocate. "Getting the truth out has become a nightmare," he said. Tesla has struggled for months to ramp up production of its new Model 3 vehicle, the company's first mass market car and a cornerstone of its business model. A series of manufacturing missteps led to bottlenecks and long delays for customers who placed orders for the all-electric sedan. Musk promised investors on a conference call in June that production was finally on track. And in a regulatory filing posted last week, the company said it finally hit its goal of churning out more than 5,000 vehicles in one week. Tripp's filing with the SEC claims Tesla regularly overstates the production figures. A board on its factory wall that keeps a tally of how many Model 3 vehicles have been made is artificially inflated, the tip alleges. Tripp also claims Tesla put batteries into vehicles that contained "dangerous puncture holes," according to the release from his attorney's office. It also claims Tesla "lowered vehicles specifications," which resulted in hazards such as battery cells being place too close together or improperly attached to the vehicle, risking a possible explosion. Finally, it alleges Tesla "systematically reused parts already deemed scrap/waste in vehicles without regard to safety." The SEC has since 2011 offered money to tipsters who pass on credible information about violations of federal securities laws. The agency has doled out more than $250 million to whistleblowers in a variety of cases.